[toc]Narcolepsy is a type of sleep disorder where the person suffers from excessive sleepiness and may even fall asleep during the day. This disorder can disrupt a person’s life and it is imperative to seek medical help. 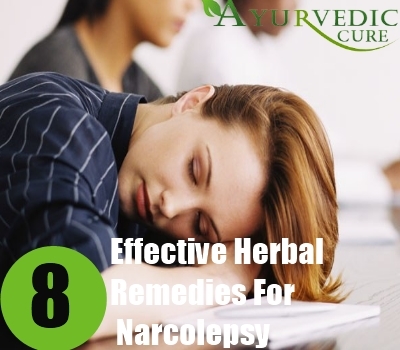 Besides this, certain herbal remedies can also be used to treat narcolepsy. Herbs which can be useful for treating narcolepsy include St. John’s Wort, Country Mallow, Gingko Biloba, Gotu Kola, Cayenne Pepper, Asian Ginseng, Guarana and Rosemary. Herbs which possess stimulant properties are especially helpful for treating this disorder. Herbs which counter fatigue and raise energy levels can also counter this sleep disorder effectively. This article explores some of the best herbal remedies for narcolepsy. Capsicum Minimum is the Latin name of this herb. Cayenne Pepper is also known as Guinea spice or Cow Horn Pepper. It is named after a city in French Guiana called Cayenne. The fruit of this herb is crushed into a powder and used as a spice. This herb is also available in the form of tablets, tinctures and ointments. 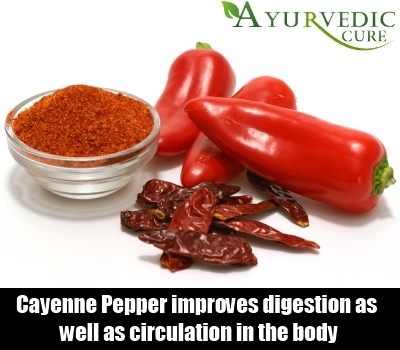 Cayenne Pepper improves digestion as well as circulation in the body. Due to this, it is very useful for making a person feel alert and active. Therefore, Cayenne Pepper is a good herbal remedy for warding off excessive sleepiness caused by narcolepsy. You can use Cayenne Pepper as a spice and also add it to hot drinks, soups or gravies and consume these to avail the benefits of this herb. Gotu Kola is a herb which has been used in Ayurveda for curing many maladies. This herb is a mild stimulant and it is very good for activating and energizing a person suffering from narcolepsy. 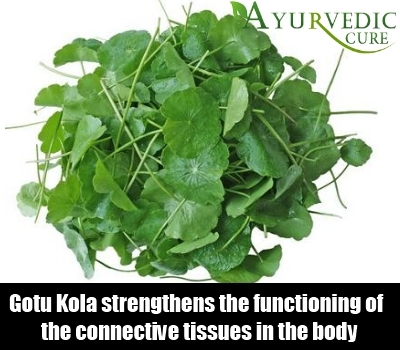 Gotu Kola strengthens the functioning of the connective tissues in the body. This improves the strength of the veins and enhances the flow of blood and nutrients to the brain. Researchers believe that this changes the sleep patterns of the brain and improves a person’s activity levels during the day. Gotu Kola also oxygenates the brain. You can take this herb in an extract form for best results. Sida Cordifolia or Flannel Weed are some of the other names by which this herb is also known. The seeds and roots of this herb are used to make various medicines. 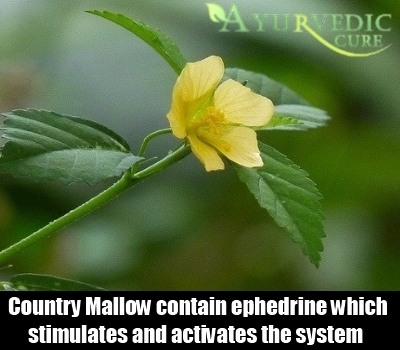 Country Mallow contain ephedrine which stimulates and activates the system. This helps to block the symptoms of narcolepsy such as drowsiness during the day. You can use this herb to make tea which you must drink regularly to fend off narcoleptic symptoms. Country Mallow does bring about changes in blood pressure sometimes. Therefore, persons with cardiovascular conditions should only use this herbal remedy after consulting a doctor and a herbalist. 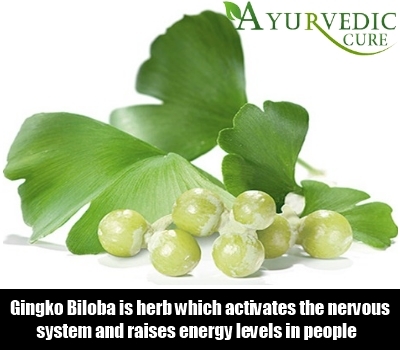 Gingko Biloba is a herb which activates the nervous system and raises energy levels in people. This herb has been used extensively in traditional Chinese medicine for several diseases and health problems. Gingko Biloba improves circulation in the body and helps in enhancing the supply of blood to the brain. It also contains antioxidants which refresh and rejuvenate the body. Terpenoids and flavanoids found in this herb are very effective in healing a person who suffers from narcolepsy. You can take this herb in supplement form or as an extract. Hypericum Perforatum is the botanical name of this herb. This herb calms the nerves. It also enhances the quality of sleep in the night. A person suffering from narcolepsy enters deep sleep without going through the stages of light sleep first and may experience difficulty in rousing during the day. 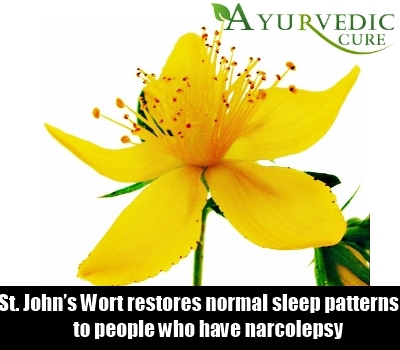 But, St. John’s Wort restores normal sleep patterns to people who have narcolepsy, according to some experts. St. John’s Wort can be taken in the form of an extract. You can also make tea using the dried form of this herb and drink this consistently to experience its beneficial effects. Rosmarinus Officinalis is the botanical name by which this herb is also referred to. Rosemary is a popular culinary herb. It is also used to treat memory problems. However, this herb has yet another use. It can be used as a circulatory stimulant to make narcoleptic people alert and aware during the day. 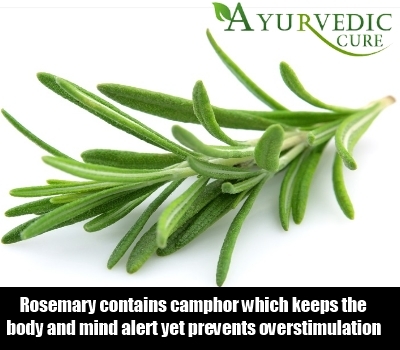 Rosemary contains camphor which keeps the body and mind alert yet prevents overstimulation. Rosemary also improves the circulation in the body and prevents daytime drowsiness in persons diagnosed with narcolepsy. You can add dried Rosemary to dishes, soups and gravies and have these for improving your wakefulness during the day, if you suffer from narcolepsy. Panax Ginseng also known as Asian Ginseng is a herb which has innumerable benefits. 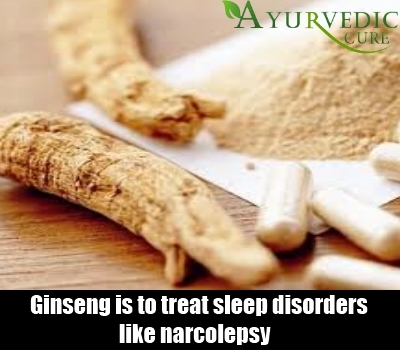 One of the many uses of Ginseng is to treat sleep disorders like narcolepsy. To overcome disturbed sleep patterns during the night and day, persons with narcolepsy can use Asian Ginseng. You can take 2 to 3 cups of Ginseng decoction daily. You can also take this herb in the form of an extract. Ginseng is also available in the form of a tincture. Asian Ginseng also known as Chinese Ginseng or Korean Ginseng also improves circulation and blood flow to the brain, which enhances the ability of the person to overcome extreme sleepiness. Asian Ginseng is also taken in the form of tea, capsules and powder. Do not use this herb if you suffer from hypertension as well. Paullinia Cupana is the Latin name of this herb. It contains xanthine alkaloids such as caffeine which improve the alertness and activity levels of persons diagnosed with narcolepsy. The seeds of this herb are used to make medication. This herb is also available in tincture and capsule form. Besides narcolepsy, this herb is also used for treating depression and mental fatigue. 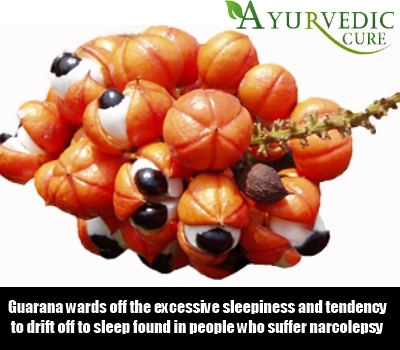 Guarana wards off the excessive sleepiness and tendency to drift off to sleep found in people who suffer from narcolepsy. This herb is also available in powder form. You can even roast the seeds of this herb and crush them to a fine powder. Consume this regularly to get the benefits of this herb. Those who have blood pressure problems must not take this herbal remedy.